MATCH UP: The fencing club practices on the steps of the Bowdoin College Museum of Art to make their sport more visible to the entire campus. In nice weather, some students choose to sit on the quad. 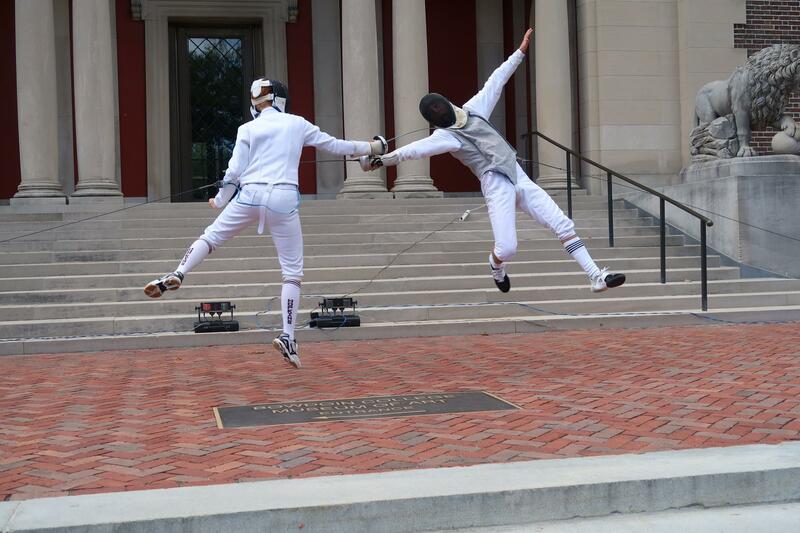 Members of the Bowdoin Fencing Club, however, choose to duel on the Bowdoin College Museum of Art steps. While the majority of practices are held in Sargent Gym, the team has been trying to garner more interest for the club by practicing publicly. The fencing club attends at least two or three tournaments per semester. Competition ranges from 30 entries in a Maine tournament to hundreds of entries in a regional one. This Sunday, the fencing club attended the Granite State Open in New Hampshire. The Polar Bears competed in the “Mixed Foil” and “Mixed Epee” events. Marty Dang ’18 led the team in the “Mixed Foil” event, reaching the second round before losing to the second-seeded competitor. Ratner earned fifth place in the “Mixed Epee” competition, losing to the eventual champion. 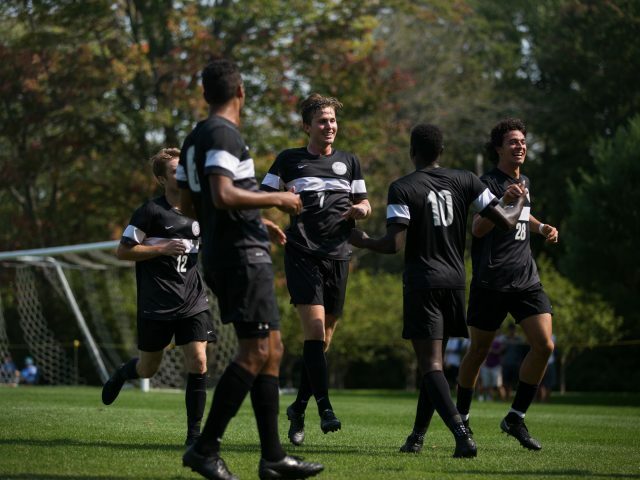 In these tournaments, the team competes against many of its in-state rivals. The team currently has 11 members, and while it encourages all students to participate, it also values its small size. 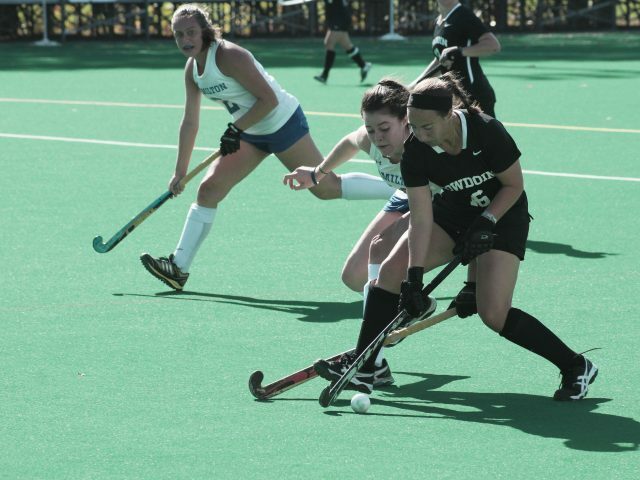 Nearly half of the current club’s members did not know how to fence before attending Bowdoin. Dang was among these students. Ratner, who has been fencing for about nine years, and other older members of the club provide the new members with footwork and weapons training. While club team status promotes inclusivity, the team’s club status also prevents the team from having a coach. This poses a challenge to the older members who are looking for experienced fencers to duel. Besides just improving skills and competing against stiffer competition, one of the other main goals for the club this season is promoting a more social environment. While fencing remains a relatively small sport in the U.S., the team has big dreams on Bowdoin’s campus. 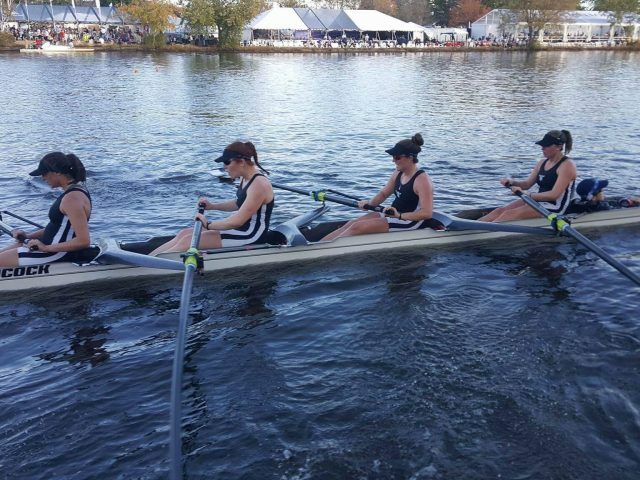 “Our mission for the club on campus is to create a fun, supportive environment where any Bowdoin student, regardless of if they’ve fenced or not, can pick up a blade and have fun and learn the sport,” said Ratner. Great article — really happy to see Bowdoin Fencing is active! When I transferred to Bowdoin (2006) we were able to bring up a coach once a week from Portland Fencing Center.